I hope you guys are having a fabulous second week of September. The last few days have been pretty busy with Toronto Fashion Week, Universities starting up again, Toronto International Film Festival, and all the fun events that come along with those days. The lunch was hosted at Nota Bene, and about the amazing campaign called "Like a Girl", which has flipped the negative connotation attached with being told that you do something "Like a Girl". We also spoke about the paralyzing nature that fear has on us, and how fear is a huge hindrance for young women to try new things. I found this relatable as someone who has been a perfectionist, and had major anxiety because of it. The idea that failure is a word associated with fear, embarrassment, and no longer thought of as a step towards learning as we get older, really is reflective of the thought process we have as a society. Another thing that was pointed out was how most people view others who share their failures as brave, inspirational, and heroes. I think its important to voice our failures, show the world how we tried, failed, and kept going. Above, I've attached the amazing video from the campaign. During the lunch, we also got to hear some extremely powerful, and inspirational women speak from the campaign as well as the company, such as Carolyn Tastad (Group President, North America, Selling & Market Operations and Executive Sponsor, Gender Equality), and I left feeling so empowered. 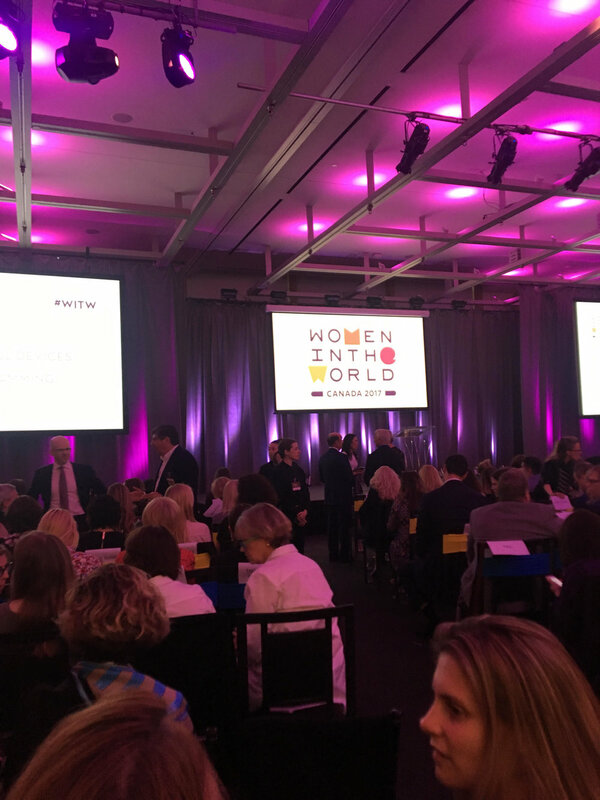 The Women In the World Summit was hosted by the brilliant, and always articulate Tina Brown. 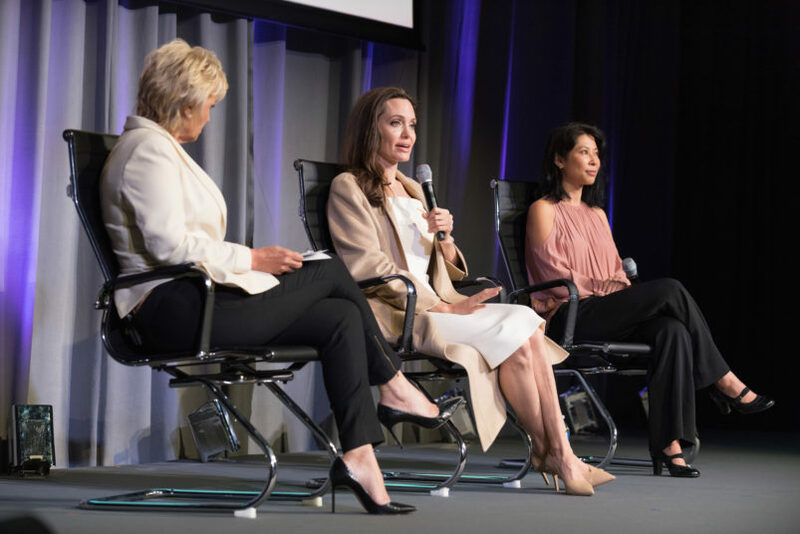 There were over twenty speakers, and all of them offered an enlightening perspective about what it means to be a woman, and feminism, including Angelina Jolie, Loung Ung, the author of First They Killed My Father (a memoir turned TIFF film, directed by Jolie), Justin Trudeau, Sophie Grégoire Trudeau, foreign affairs minister The Honourable Chrystia Freeland, and Women’s March co-chair Tamika D. Mallory. One of my favourite speakers from the summit was Margaret MacMillan, who is a professor of history at Warden of St. Antony’s College in University of Oxford. I found her perspective on the stability of the current world to be both thoughtful, and intelligent. 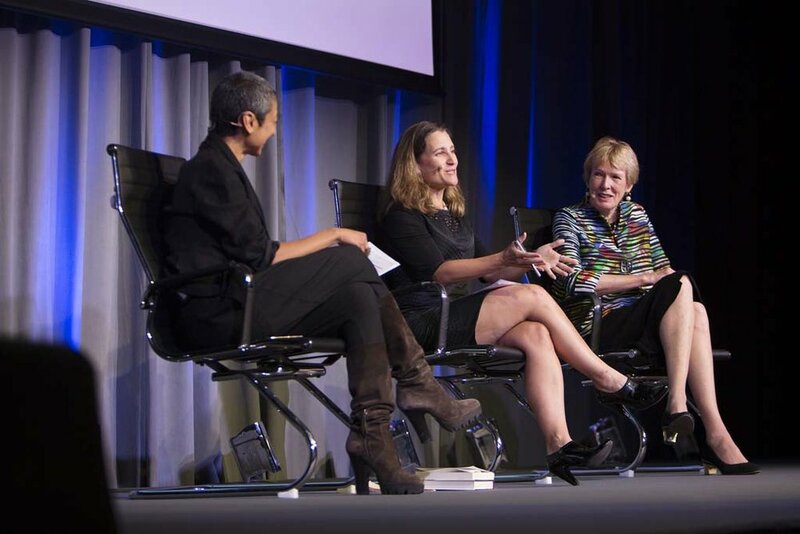 Zainab Salbi, Founder of Women for Women International, Chrystia Freeland, Minister of Foreign Affairs, Government of Canada and Margaret MacMillan. Overall it was a fantastic day, and showcased the power and importance women have in the world.